Below is the NuWave Estimate Sheet that will walk you through step by step and give you an understanding of cost. Many People are still dealing with the aftermath of Superstorm Sandy, which caused much devastation along the coast. We here at Nu-Wave pools would like to extend our deepest sympathies toward everyone affected. We have many friends and families that are working our way through the aftermath right along with you. We understand you have a lot on your plate with the clean-up required and battling with insurance companies. We are trying to alleviate your pool concerns by assessing damage to as many pools we've installed as we are able to get to. We have hundreds of pools with flooded equipment along with some shells that didn't fare so well in the storm for various reasons. It is our understanding from numerous customers we've spoken to that most of your pool concerns will not be covered by homeowners, flood or F.E.M.A. Nu-Wave pools has been in contact with our manufacturers and distributors. We have placed a large off-season/bulk order to assure availability and reasonably discounted prices for pool equipment that will need replacement due to flood damage and salt water exposure in an attempt to keep your out of pocket expense to a minimum. It is our goal to restore your swimming pool to usable condition before next season. We have a lot of work ahead of us. Through our inspections so far, we have noticed every yard was effected differently, and there is no 1 way to figure a cost to repair. So this letter is our attempt to breakdown the various ways we can be of service to help with what we can. First off, the salt water will not hurt the fiberglass shell. So it is okay if the steps needed to bring your pool back are not taken until the spring. Below you will find a link that not only is a price list, but explains different sized mechanics that might need replacing and also an option of clean up packages for you to choose based on your particular situation. We will be attempting to schedule these jobs grouped in locational proximity to be as effective with our time and resources to accommodate as many as we can. We understand that over the years, you may have been taking care of your pool yourself, or have had another service company doing it for you. If you will be resolving your pool issues yourself or through someone else just please be aware of the potential for causing damage to the pool shell if attempting to drain the pool to an unsafe level without proper de-watering of the ground first. For those taking on the cleanup on your own, we are here to help with whatever you need us for, even if its just advise or ways you can clean your pool yourself to save money. For those who use our services, there will be varying degrees of cleanup needed. There are numerous pools that are damaged or out of the ground. For those of you with the unfortunate responsibility of more than just flooded equipment and dirty or salty pools, you can contact me directly on my cell at 609-713-3193 to discuss your options. We understand that there are many pool equipment manufacturers, and that not everyone has the same system setup for their pool. We are providing prices for replacement equipment from Hayward Manufacturers for the pumps, filters, heaters, heat pumps and salt systems. If you need a price for something not listed, or a different brand, please contact our office for availability and pricing. As far as the pumps go, you can choose to replace the whole pump according to size, or you may just purchase a replacement motor. The replacement motors will be from either A.O. Smith, or Century Motors. If you choose the replacement motor. There will also be a seal assembly needed to be replaced with it. As in our pool opening/closing forms we send out, you will be able to check off what you expect to need for your individual site. Please feel free to call our office at 609-296-1056 if you have any unanswered questions or concerns, or need more clarification of this letter. If an estimate for insurance purposes might be needed, you can use the price breakdown on the .pdf file below as a reference to go off of. If a specific estimate is needed, please contact us to request one. Thank you for your understanding and patience as we work through this together. Thank you again and we look forward to helping you in the future. 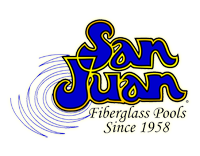 The San Juan® Logo is a Registered Trademark of San Juan Products.